This is too true. I have found myself at the bottom of the rock a fair few times during my eating disorder. 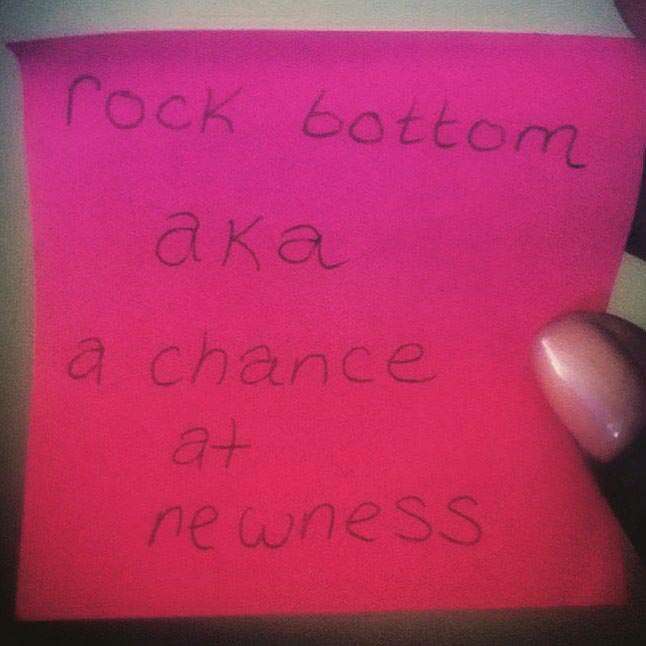 People say it as if you only ever have one ‘rock bottom’ but I disagree. I’ve had many over the years, but each one has been an opportunity to pick myself up and start again. Each one has been different and although at the time I couldn’t imagine climbing my way back up…I have. The choice is yours…to learn from it or to keep on making the same decisions that took you to the bottom in the first place. I used to blame myself for not being able to make the climb on my own, but these days I allow myself to accept love and support from others. We all need a hug or a pat on the back, and some of us need to be given the ladder to climb back up. There is no shame in asking for help. None at all.